Back to Amalfi we go. 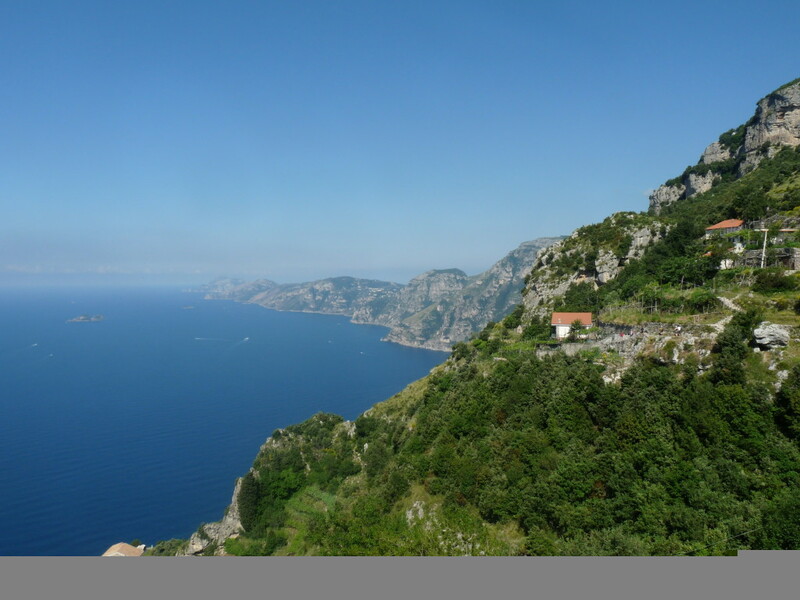 There are a few things to bear in mind about this mountainous, coastal part of Italy. 1; There’s not a lot of industry and therefore not much money swilling around. 2; It takes hours to get anywhere; that’s the joy of mountains. 3; It’s surprisingly densely populated, with villages clinging to the cliffs. What do you do if you live in a place such as this? Well you grow all your own food of course. It’s not a lifestyle choice as it is in the UK, it’s just obvious. It’s been obvious for centuries. In Pompeii, archaeologists have replanted fields of vines using ancient Roman planting schemes and they looks exactly the same as any vines you’d see these days, 2000 years later. 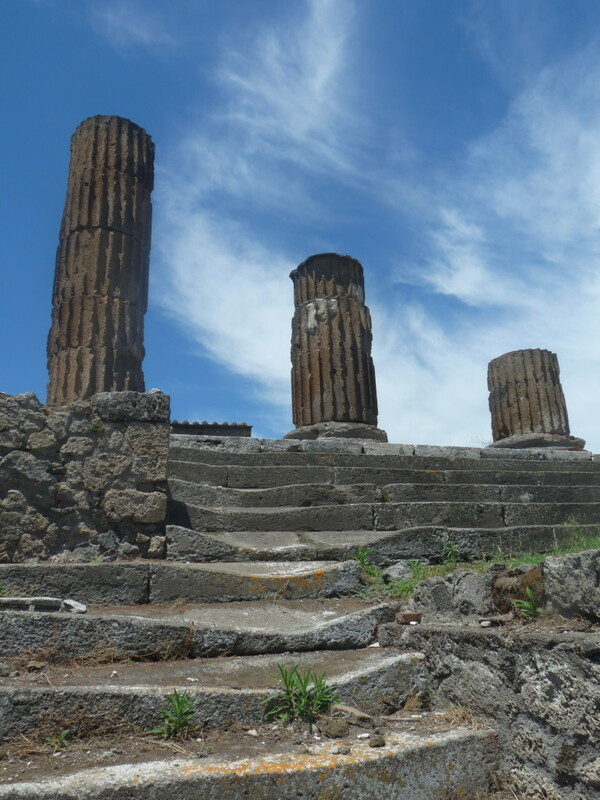 Pillars at Pompeii. Archaeologists have replanted vines here based on the original layout. Archaeology for the masses. 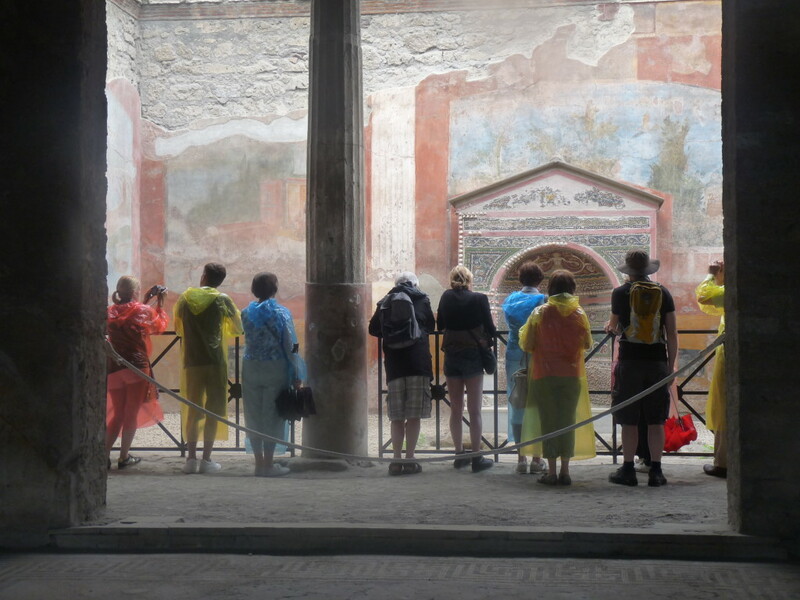 Photo of people taking photos at Pompeii. Some things are different now though. The Romans would not have had tomatoes, courgette, potatoes, corn or chillies, all of which came to Europe from South America in the 16th century or thereabouts. In Agerola, the cluster of cliffside villages where we stayed, every property was surrounded by rows upon rows of tomatoes. I can only imagine the industrial efforts required into turning this lot into passata for the winter. 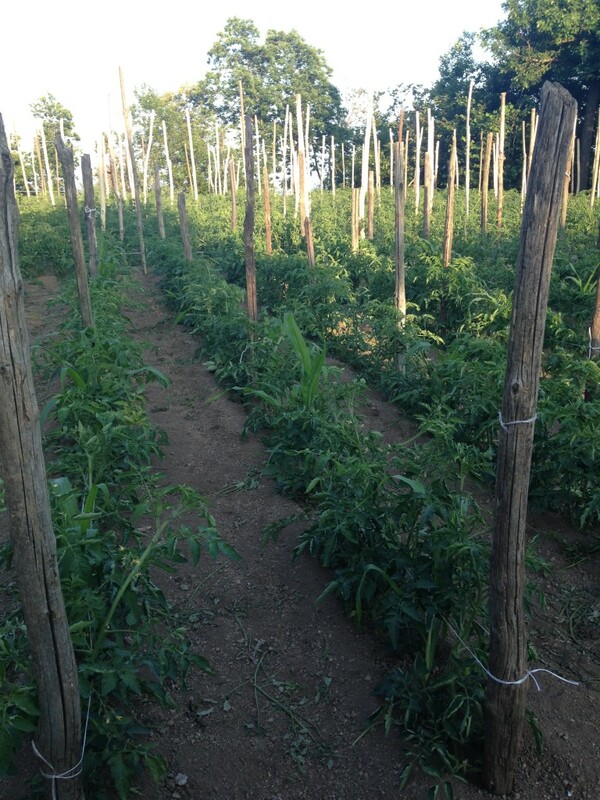 Tomatoes on the agriturismo, a crop that was of course not known to the Romans. Here they are grown between two strings to support the growing vine. As well as the ubiquitous tomatoes, everyone grows grapes, potato, maize, beans and fruit of some description. Grapes are grown across trellis made from local chestnut wood. 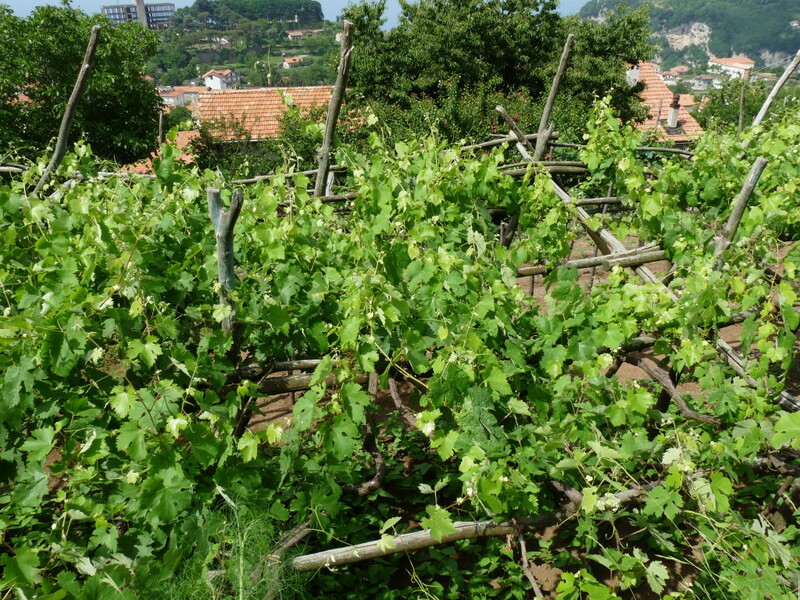 There are three benefits: the vine can spread as it will, the grapes can drop down for easy pickings (and to reduce the risk of mildew) and the leaves provide canopy shade for whatever grows below. Ingenious. Fruit is everywhere. 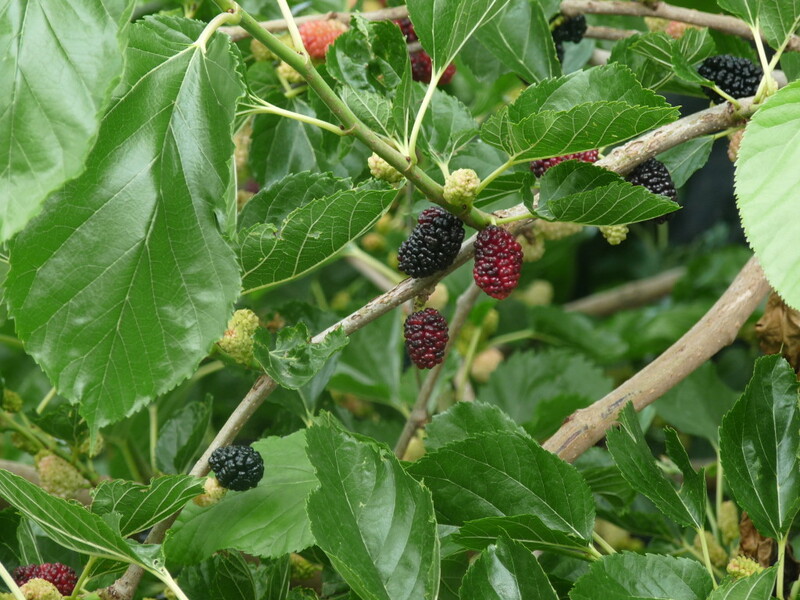 As well as peaches, apricots, strawberries and pears, we spied these mulberries. 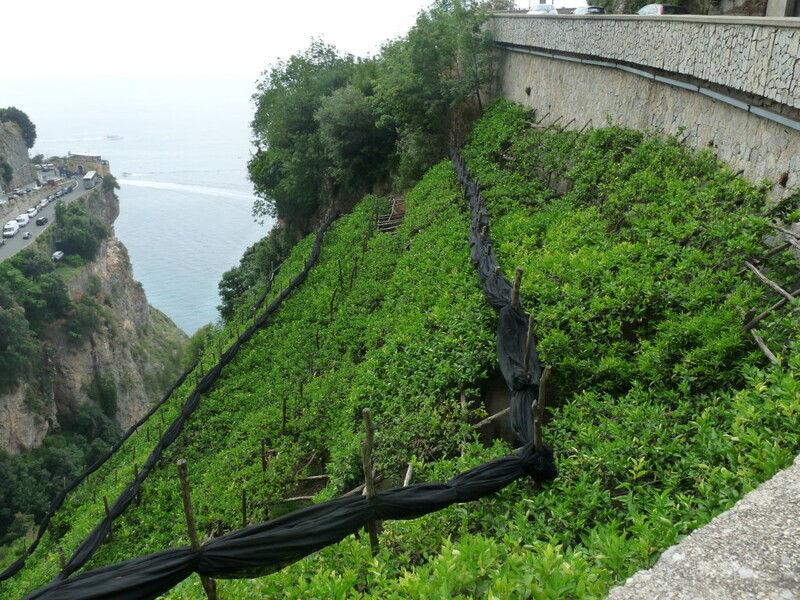 Further down the cliff is where the famous Amalfi lemons are found. Their renown is justified: these are the biggest, narliest, most fragrant citrus you are likely to find. 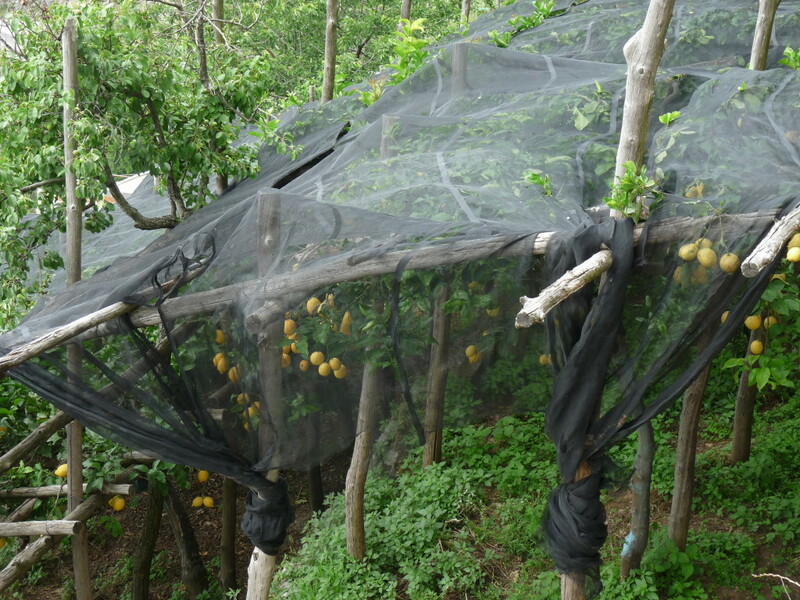 The famous Amalfi lemons are grown on steep terraced banks, often covered with netting to protect from strong winds. Or maybe the nets are just to deter thieving tourists! Up in the mountains, the air is scented with herbs: sage, mint, rocket and most of all, oregano. 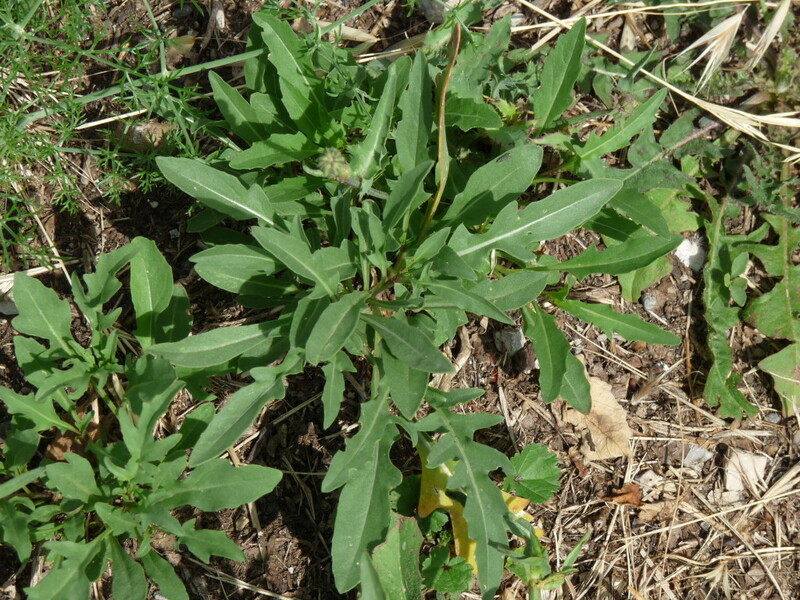 In Provence they have the wild thyme and rosemary of the garrigue… In Campagnia, they have wild rocket, oregano, sage and mint. 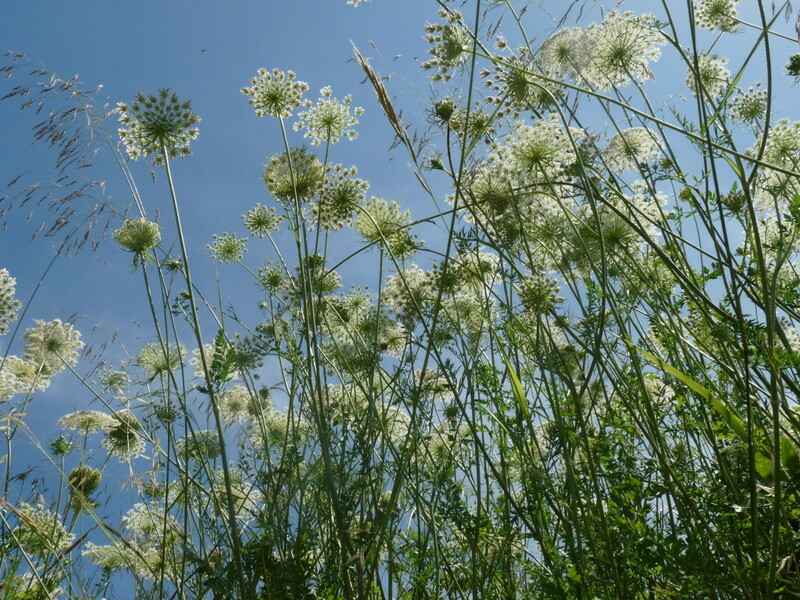 Despite the heat, the wildflowers are not dissimilar to those found in an English June summer. I found these on Capri. We ended the trip with the Walk of the Gods, a cliff-side trek that descends 600m from a country village to the seaside resort of Positano. 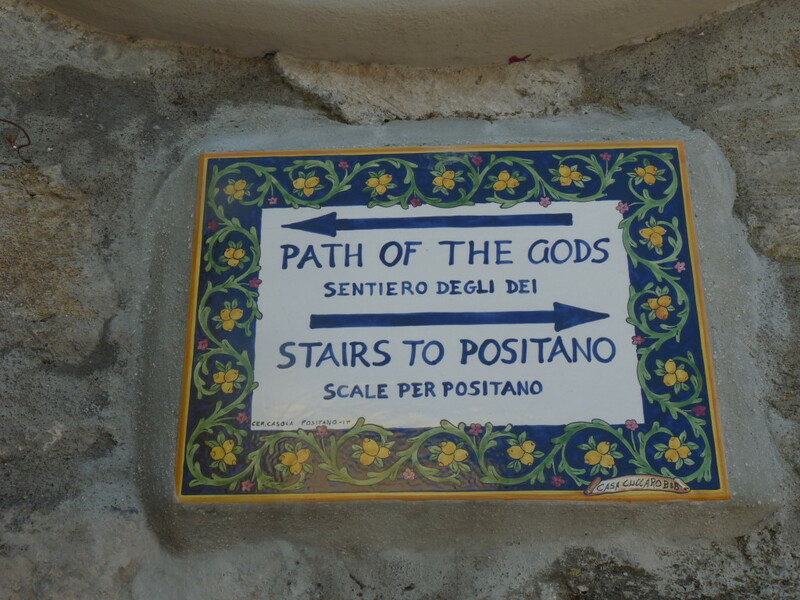 Path of the Gods, a fitting climax for any birthday. This entry was posted in Uncategorized and tagged agriturismo, Amalfi lemons, mulberries, pompei, Tomatoes, wildflowers. Bookmark the permalink.